At Manor, we understand that parent and family support is an integral part of a student’s success, and at Manor we are all about promoting student success. In most cases, parents and families are partners in their son’s or daughter’s education. 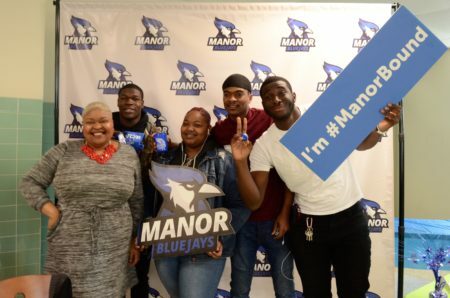 Whether you are the parent of a student already at or coming to Manor, or a student considering Manor, this page provides links to campus offices and services that will support your son’s or daughter’s life at Manor, both academic and social. The page also provides links to information about the many resources available to them that will contribute to their success. If you, at any point, have any questions or concerns for your son or daughter, we hope you will not hesitate to contact us. In the meantime, we will be busy working toward preparing your child to begin a career. Whichever direction they choose, they will be prepared to succeed.